result in sickness or death. detect smoke, fire or carbon monoxide. or call Macurco Technical Service. e is an alarm condition on the detector. designed for connection to alarm control panels. etc. The GD-2A does NOT detect carbon monoxide. 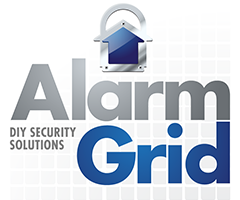 provide a distinctive alarm for gas detection. have an internal audible sounder. policy and procedures for each facility. front cover will need to be removed before installation. bottom. The cover will snap off exposing the electronics and mounting plate. line up with the access holes. for connections of the GD-2A. evident that the use of a longer lead results in damage to the insulation. on DC or AC voltages between 12 and 24 volts. this jumper wire and separate the wire ends. sure the lights line up with their access holes. trouble relay opening. A power failure also causes the trouble relay to open. immediately evacuate the premises and seek assistance. to normal use of household products. m panel installer for assistance. Do not cover or obstruct visual alarm LED. The GD-2A does not require regular maintenance. om an unlit cigarette lighter, as detailed above. ure the unit is operating normally. © Aerionics 2015. All rights reserved. Macurco is a trademark of Aerionics, Inc.